We're getting chickens!! woohoo so excited! Over the next couple of months we will be posting on our blog all about our finds, from choosing the right breed of chickens most suitable for you, to housing & looking after them, and hopefully selling a few eggs along the way in our very nearly finished 'The Jam Cupbord' out side our house. If you could offer any advice or would like to share your own experiences please feel free to comment, be great to hear your words of wisdom, not to mention the funny stories I'm sure you all have! We are going to choose our little brood this bank hol, the kids have names for them already! Next blog: picking the right breed. 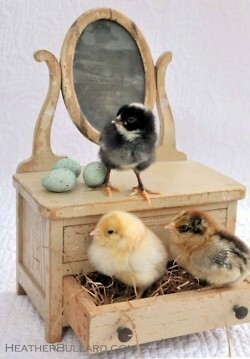 I have been mulling over whether to get chickens for the last three years! Looking forward to reading about your experiences, however, getting worried that I shall forever be living the chicken loving life vicariously through others if I don't hurry up and get a move on! Great blog - found you via twitter! It took us that long too. Im sure you'll do it! Hope you enjoy our chicken blogging.